Nine’s popular broadcast video on demand (BVOD) platform 9Now has passed the four million sign-up mark and is preparing to launch a new series of television ads to drive more user growth. The announcement comes as Nine prepares to overhaul the 9Now brand to be closer to the Channel Nine brand and drive up consumer awareness of the platform. “Nine has led the Australian television industry in asking consumers to sign on and this data is hugely important for both a better consumer and advertiser experience,” said Alex Parsons, Nine’s Chief Digital Officer. 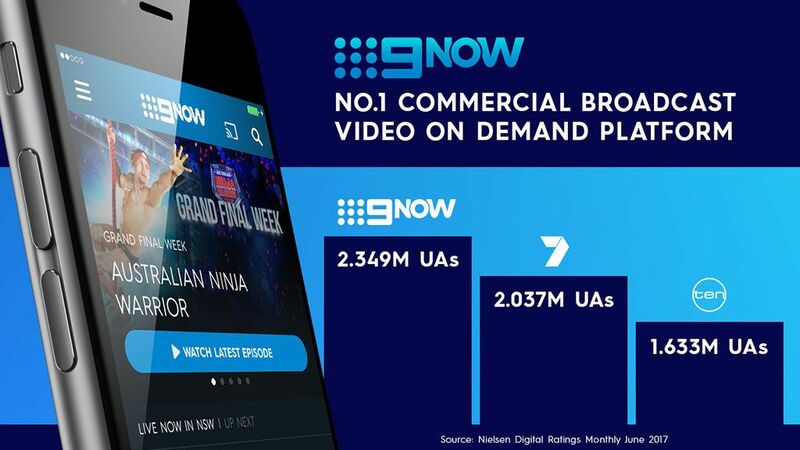 The most recent Nielsen Monthly Online Ratings showed that 9Now was the number one commercial broadcast video on demand platform in Australia in June with a unique audience of 2.349 million. The brand overhaul will see the 9Now logo aligning with the Channel Nine logo to allow for seamless integration with Nine’s on-air promotion. The rebrand will also coincide with a major marketing campaign to continue to drive growth, with the first of a series of 9Now TV ads launching on Sunday. The first ad features the host of The Block, Scott Cam, and this year’s Blockheads showing how 9Now video content can be consumed “anytime, anywhere”. Other ads for 9Now, featuring major Nine talent, will roll out over the next 12 months. “9Now is a platform that has in the space of just 18 months built a strong toehold in the Australian BVOD market,” said Niamh Collins, Nine’s General Manager of Video. Since its launch in January 2016, 9Now has been rolled out via the web, iOS, Android, Telstra TV, HBBTV, Apple TV, Google Chromecast, Fetch TV, PlayStation 4 and Sony Smart TVs with Samsung, while LG is coming soon.